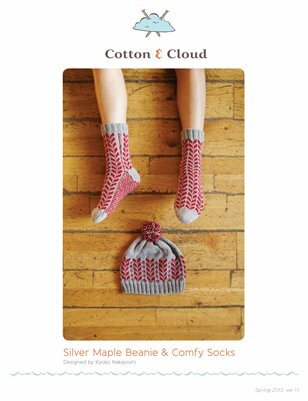 This cute hat and socks set is the perfect way to keep warm in the cold season. The stranded knitting technique makes the fabric thick and efficient at keeping keeping you cosy. Combined with a matching hat this attractive set looks great and keeps you warm and comfy anywhere you go during the cold season!